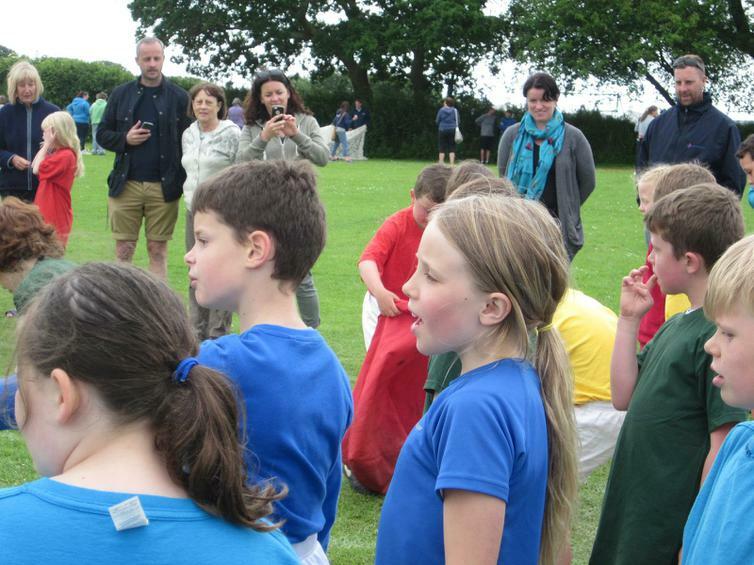 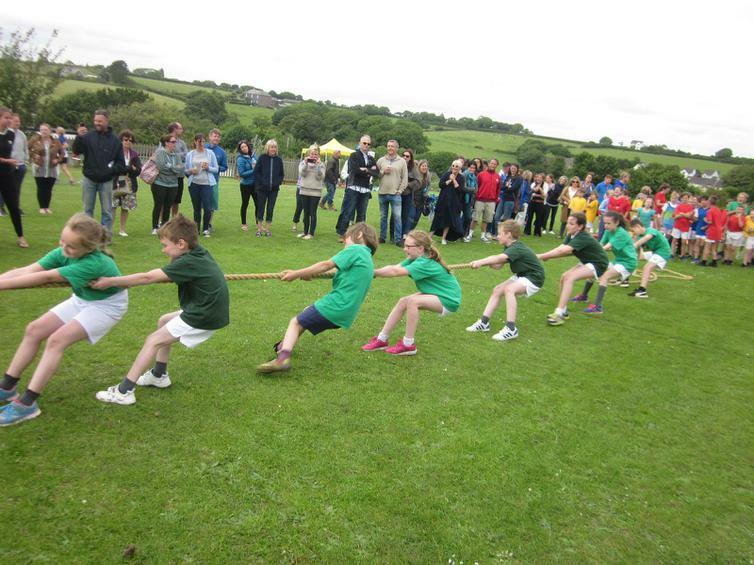 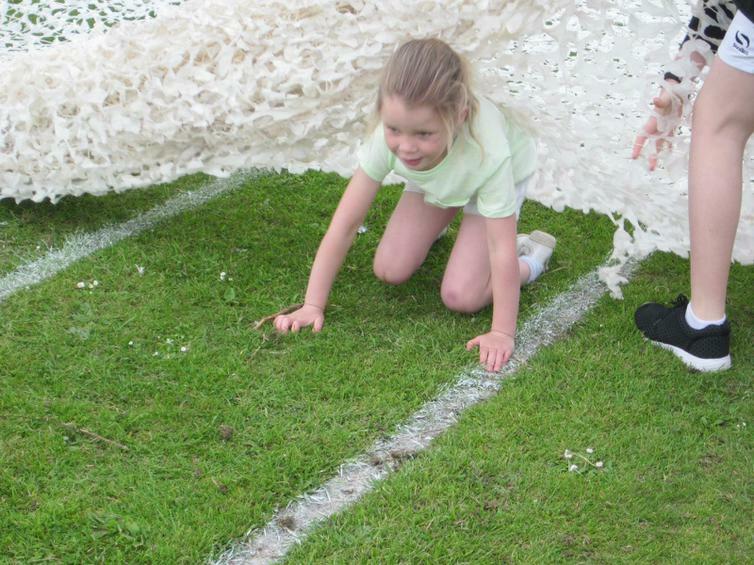 Thankfully the weather stayed dry for our School Games Day - KS1/EYFS in the morning and KS2 in the afternoon. 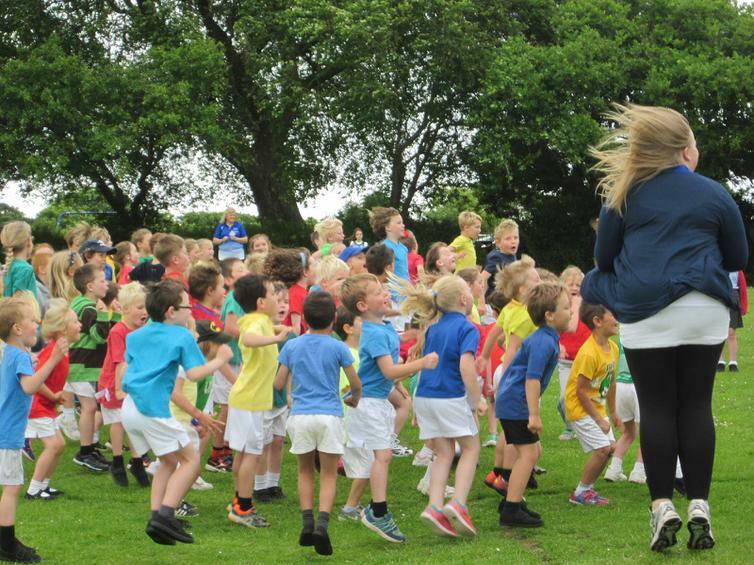 Our Bronze Ambassadors and Year 6 were a great support with KS1/EYFS, giving plenty of praise and encouragement - they were amazing! 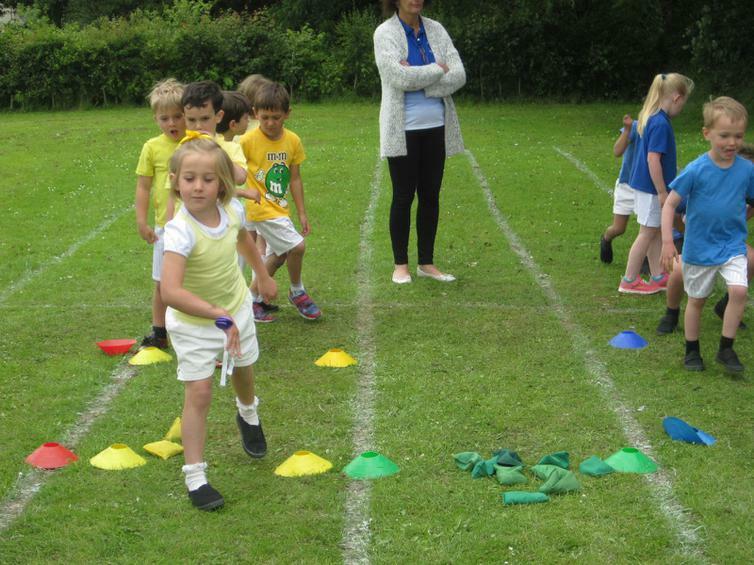 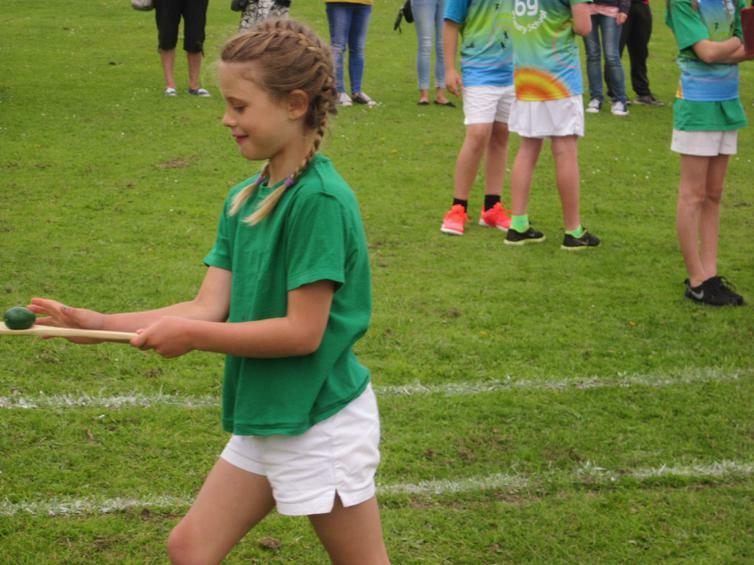 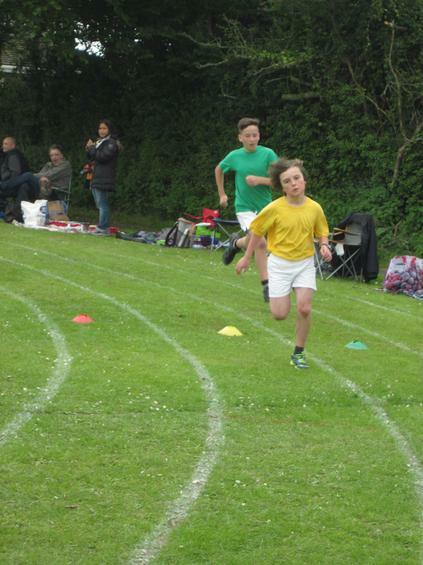 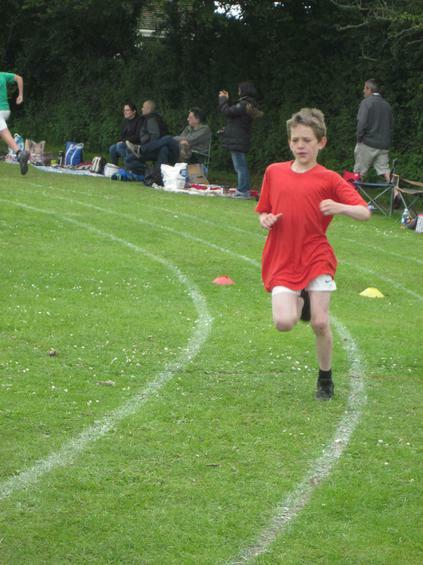 There were some new and old favourite events, with the greatest concentration going on in the egg + spoon race. 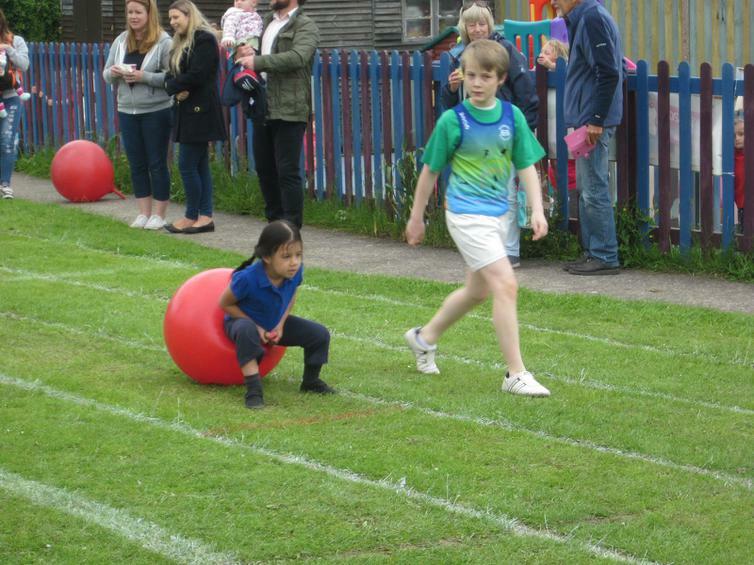 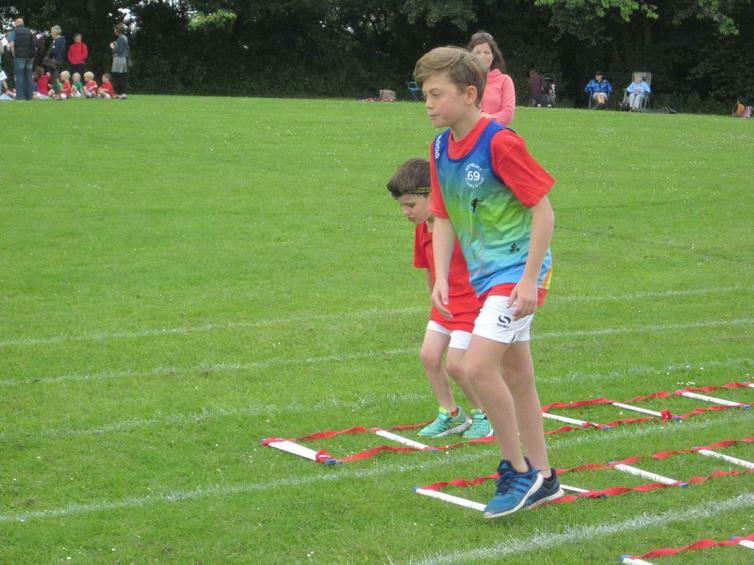 Parents this morning were also able to take part in the flat races (sprints) and an obstacle course - thank you to those parents for joining in in the spirit of the day. 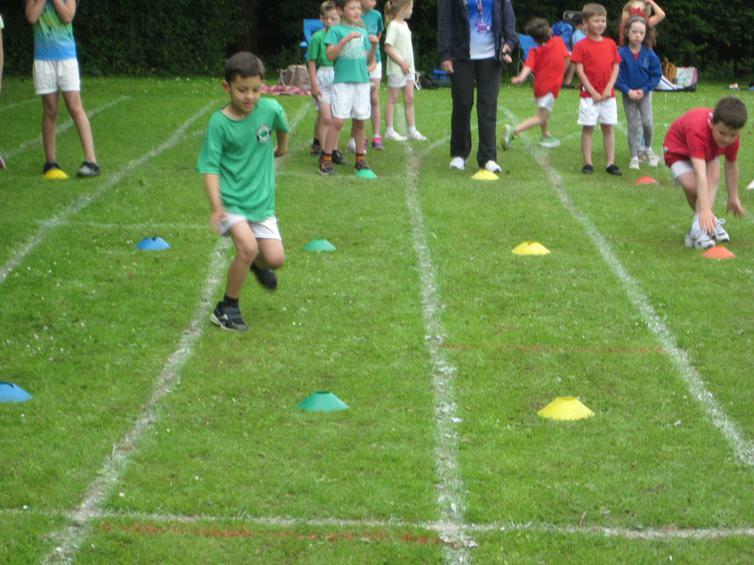 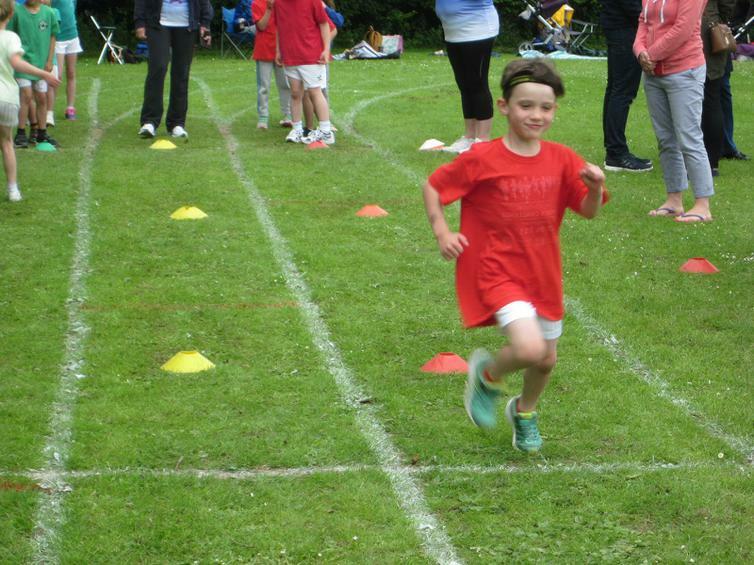 We were also joined by Pre-school who have some brilliant runners. 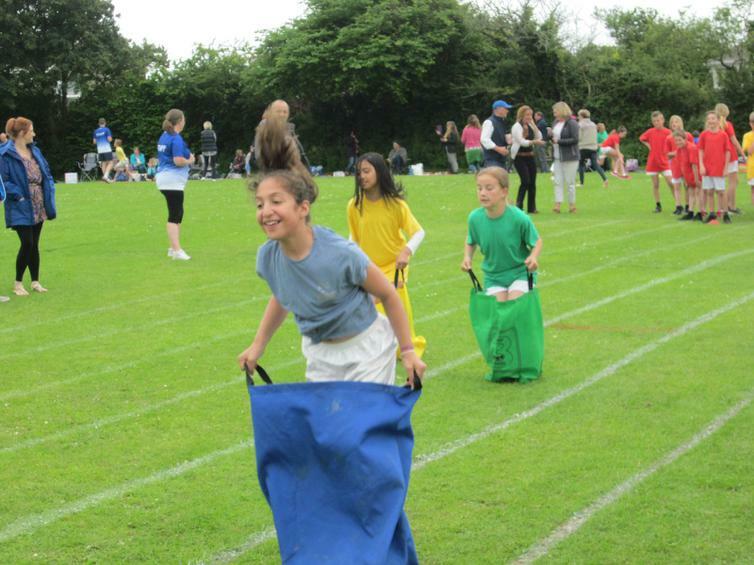 Some girls were so keen they joined in with the boys' race and then ran the girls'. 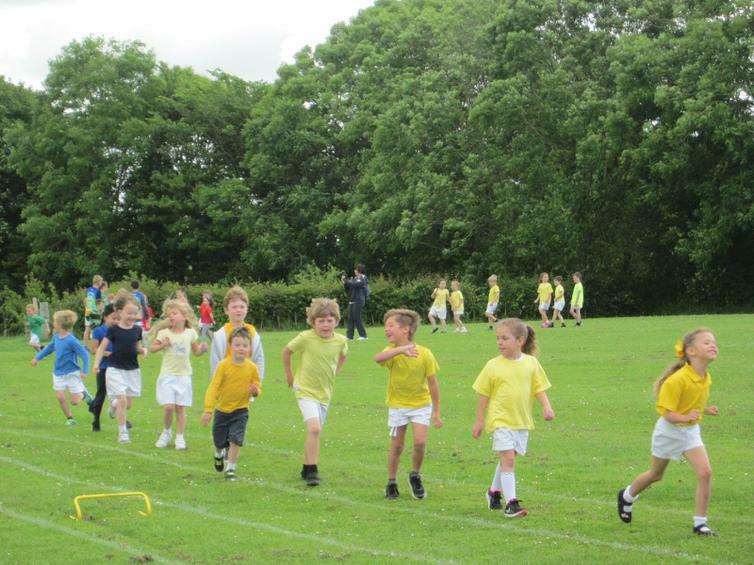 After the morning session Yellows were in the lead. 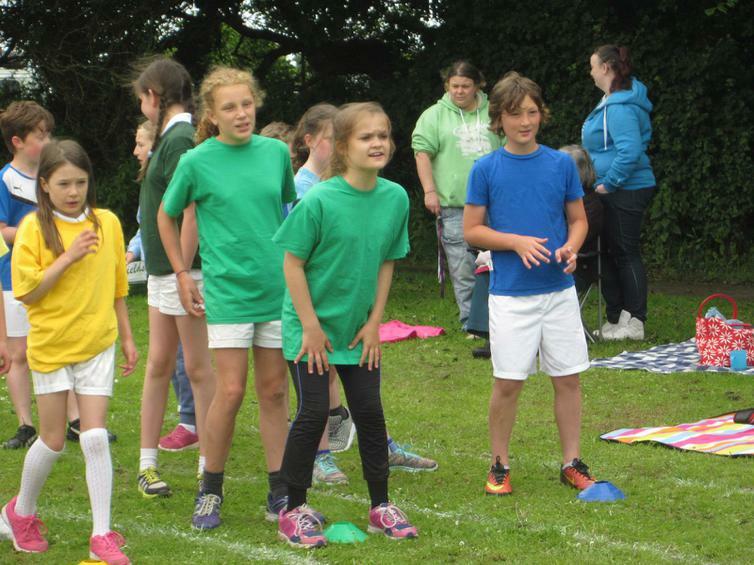 Their score was added to the afternoon's score, when KS2 accumulated even more points. 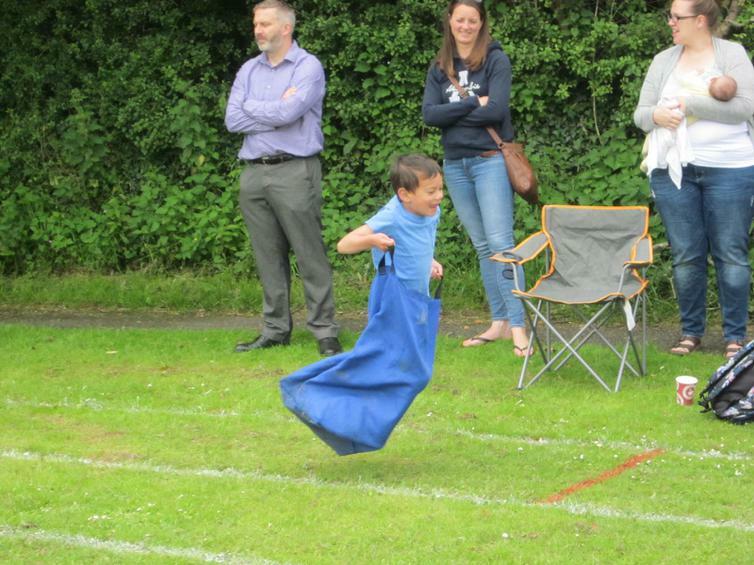 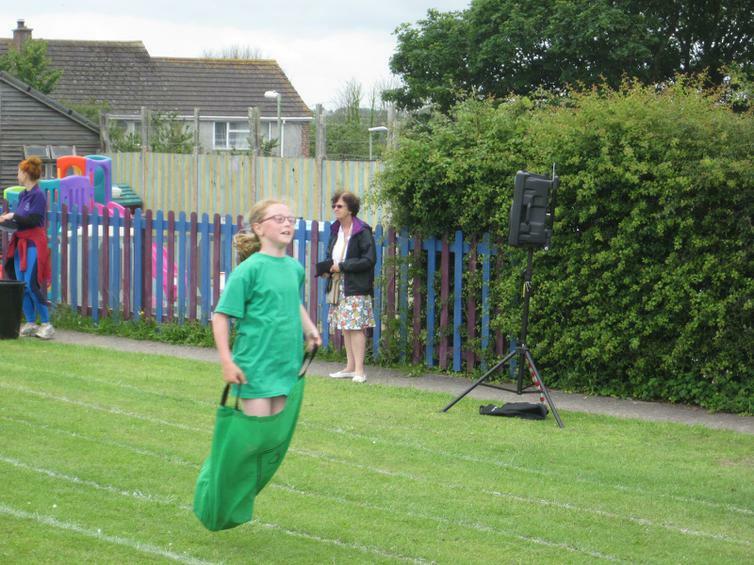 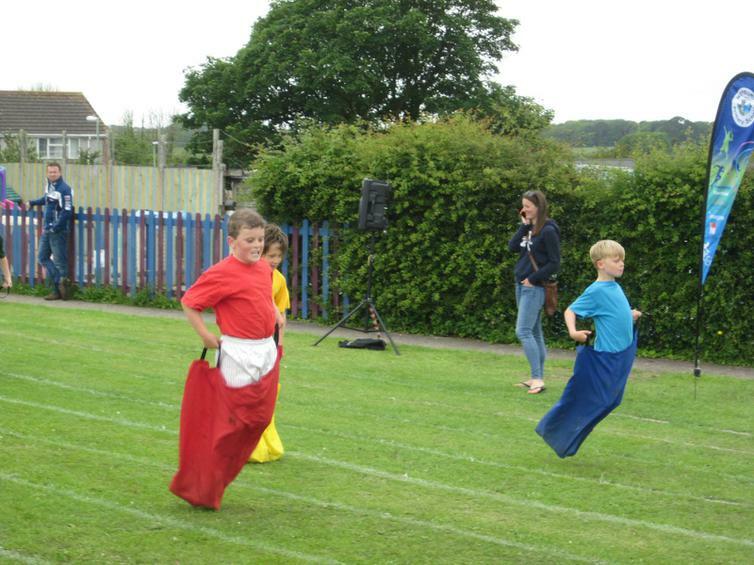 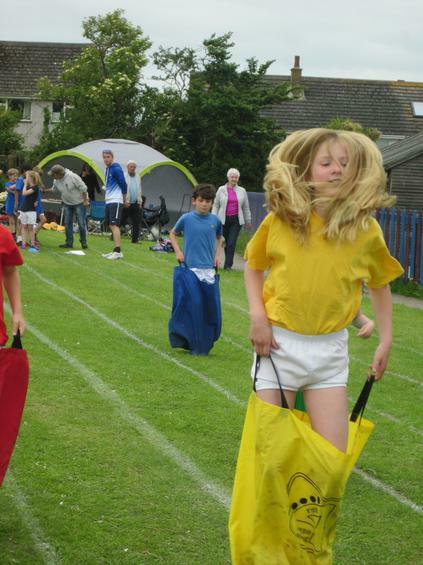 As ever the sack race proved popular and the relay proved confusing! 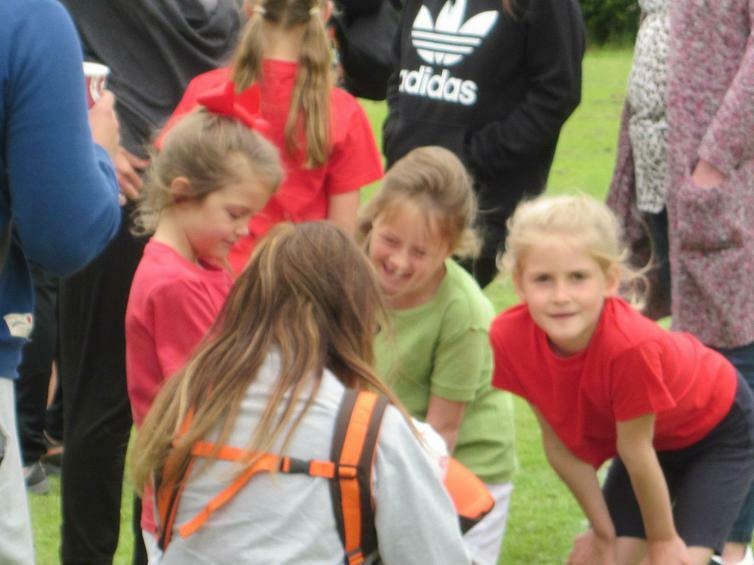 However we got there in the end with some wonderful performances and efforts with Yellows maintaining their lead and winning overall. 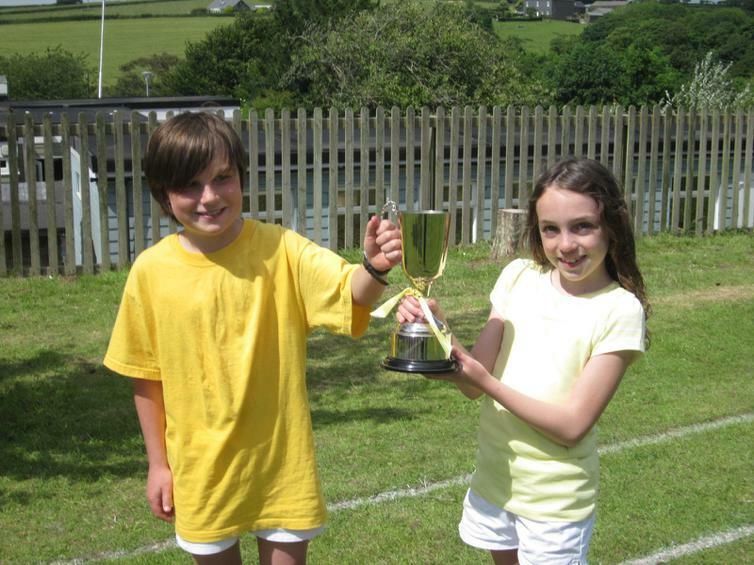 Sophie and William were very proud House Captains. 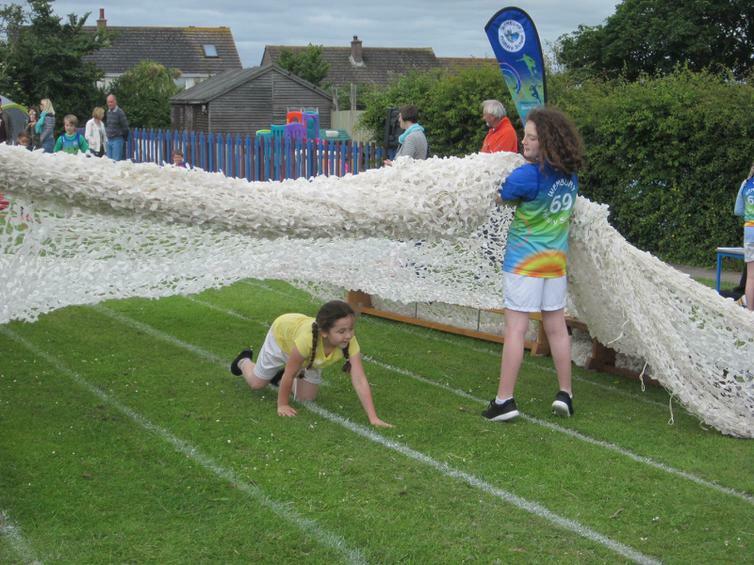 A massive thank you must go to FroWS, for providing a refreshment tent and ice lollies for all the children at the end of the day. 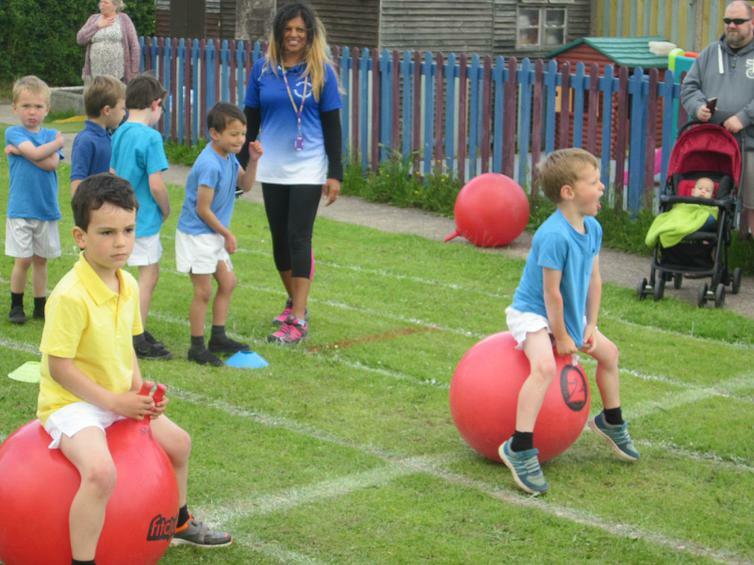 And another massive thank you needs to go to Mrs Shepherd, who has taken on the role of PE co-ordinator, and did a super job in organising her first School Games Day, with support from staff and Year 6. 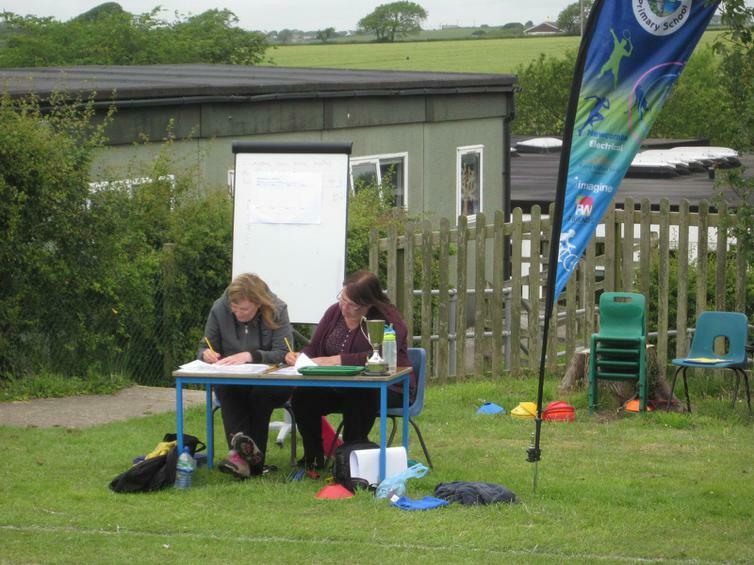 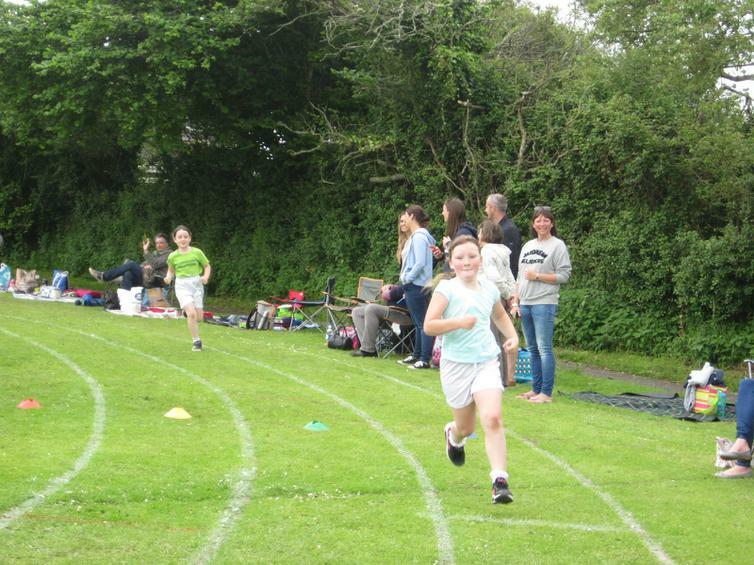 We also need to thank Ellie & Kathryn, Ivybridge Gymnastic coaches, who helped out in the afternoon and of course to our parents and families for supporting this event so well - thank you all. 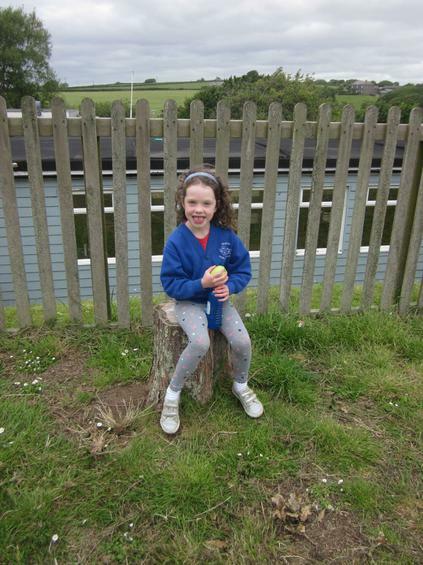 For some images of the day see below and also click on the links to view even more. 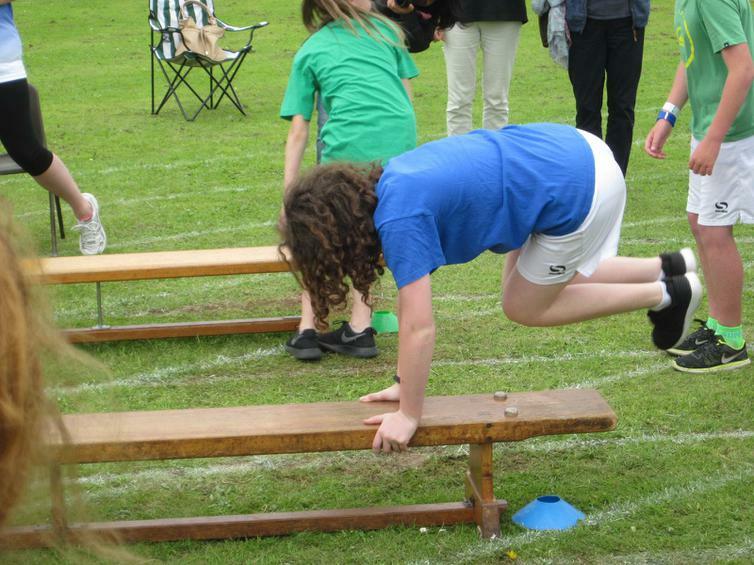 Below are a selection from the whole day.